There are three main factors that affect your cardiovascular health. The autonomic nervous system that controls heart rate is out of balance. The integrity of the arterial system. The fluidity of the blood. 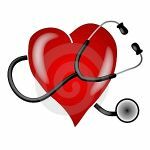 At Advanced Naturopathic Medical Centre, we evaluate these 3 main factors of cardiovascular health using our advanced testing tools. HEART RATE VARIABILITY (HRV) TESTING evaluates the autonomic nervous system. DIGITAL PULSEWAVE ANALYSIS (DPA) evaluates the integrity of the arterial system. DARKFIELD MICROSCOPY evaluates the fluidity of the blood and if there is hypercoagulation. The results of these tests allows us to properly access the problem areas and enable us to figure out what areas we need to focus our treatment plan to greatly improve your cardiovascular health.